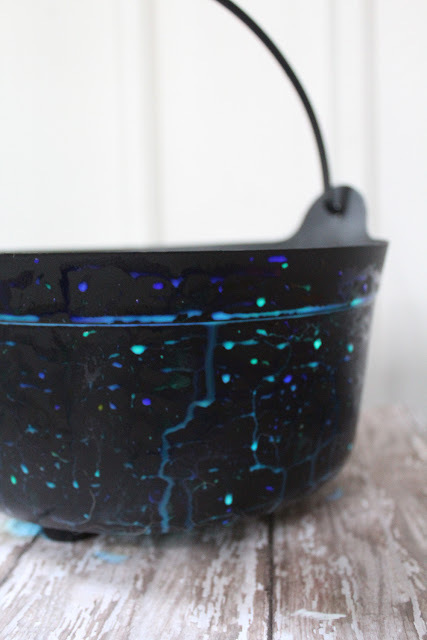 Review by Holly Storm | Make a Glow-In-The-Dark Halloween Pail! 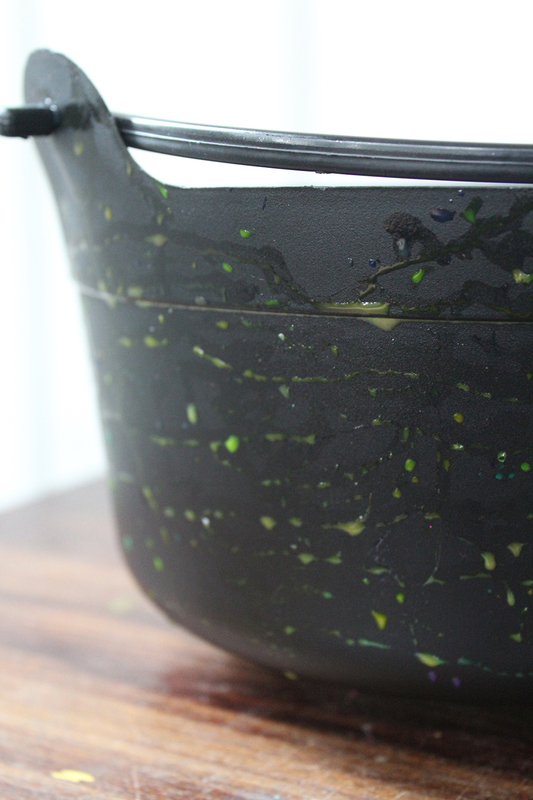 Make a Glow-In-The-Dark Halloween Pail! Halloween is fast approaching and today I have a fun and easy craft for your kids' Trick-or-Treating: a Glow-In-The-Dark Halloween Pail! All you need for this is your child's plastic pail and some dollar store glow sticks. 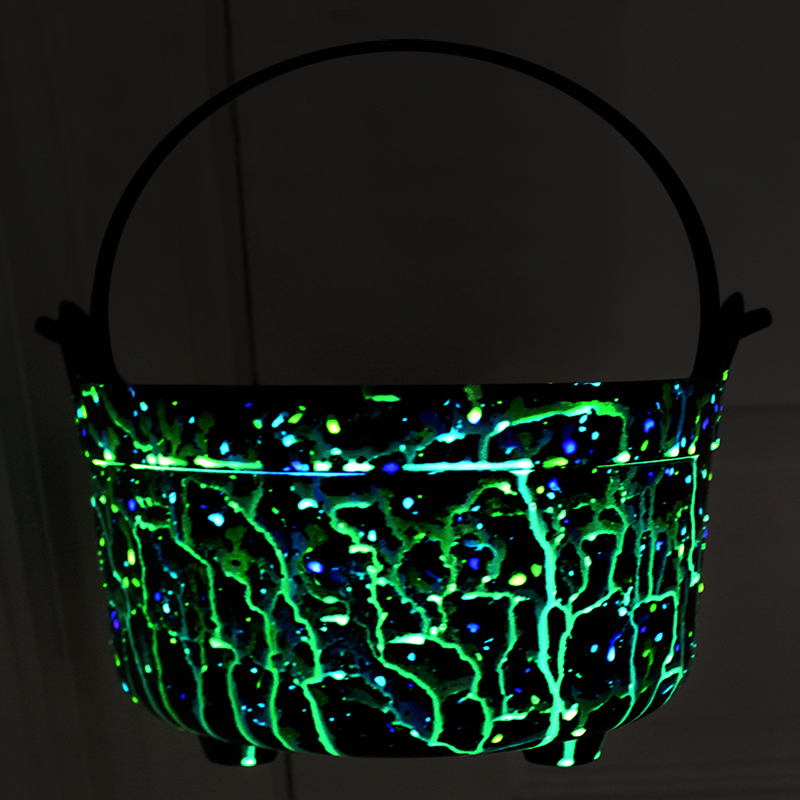 They'll love the way it glows in the dark and you'll love the way it makes them highly visible in the night. Note: You should complete this craft about 30 minutes prior to trick or treating. 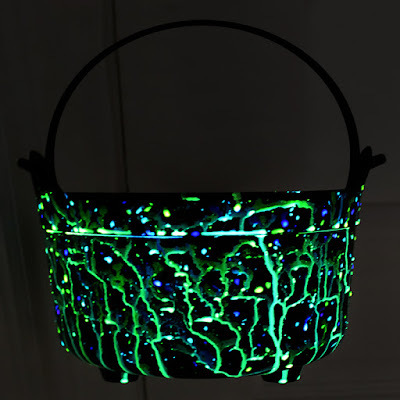 This gives the glow stick fluid time to dry but will also keep it glowing long enough for you to see while you visit from house to house! Directions:1. 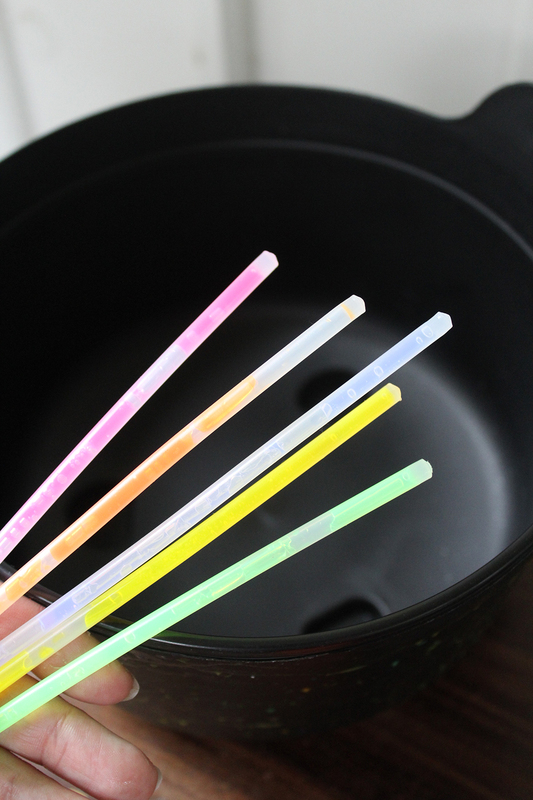 Activate your glow sticks by snapping them and shaking them. 2. Once they start glowing, snip off the tips of each. 3. Shake or brush the liquid all over the Halloween pail. It is best to do this outside or over sheets of newspaper in case the liquid splatters. 4. 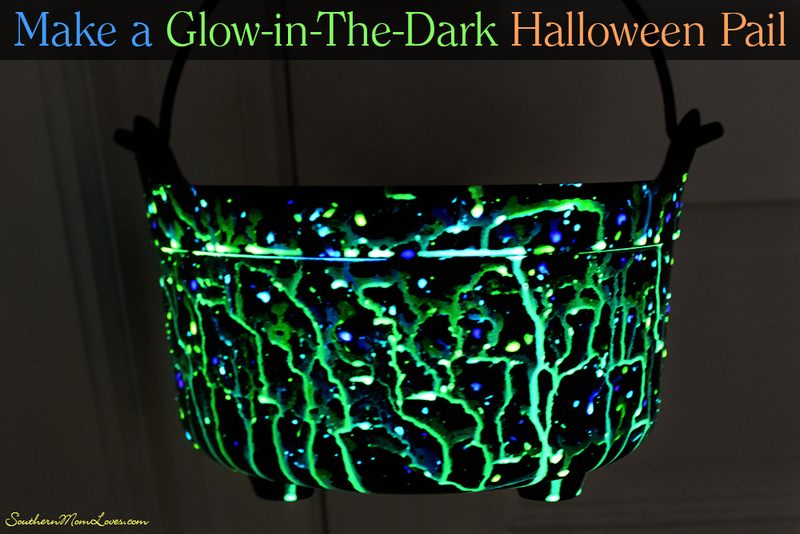 Continue to apply the glow stick liquid all over the pail and cover it to your liking. You can use select colors or all of the colors and do a random or patterned look. 5. Let the pail sit and allow it to dry. This will take about 20 minutes. 6. 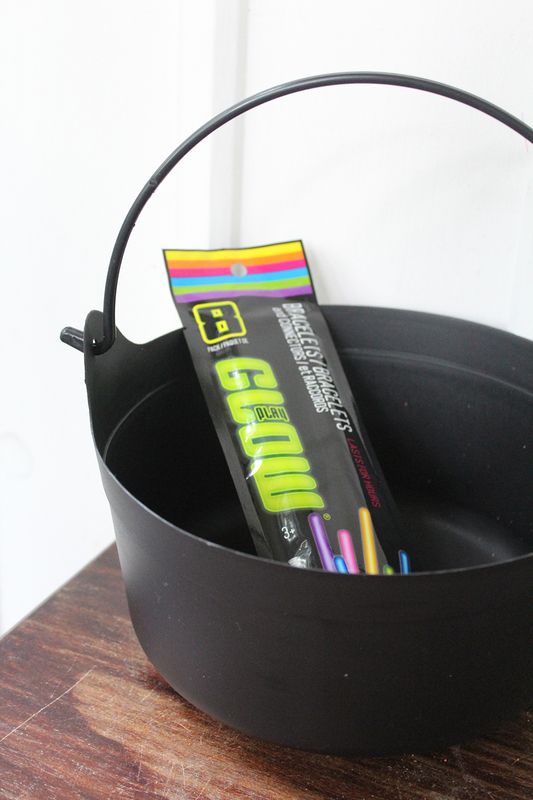 Take your glow in the dark trick or treat pail out for some fun! It will light up as you carry it for at least a good hour! I hope you have a glowing good time this Halloween! Will you be Trick-or-Treating this Halloween? 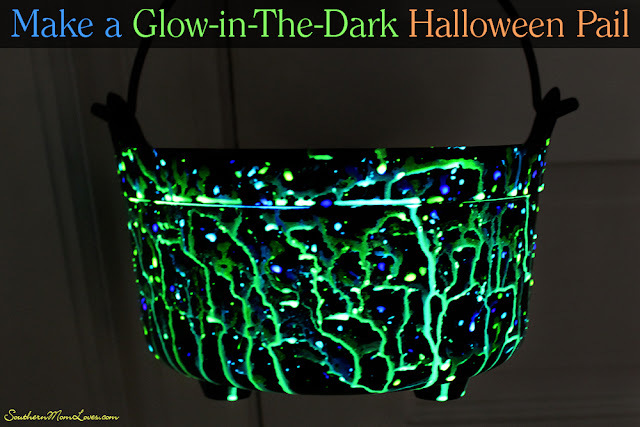 Will you be making this glow-in-the-dark pail for the kids? I love to read your comments!